I am writing this post to summarize the research challenges that, in my view, need to be tackled to realize the full potential of Cloud Computing. These are the open research issues on cloud computing that should be addressed to create better clouds and so to bridge the existing technology gap in order to foster the adoption of cloud computing. This is an extract from a post that I wrote in the DSA-Research's blog to describe a keynote at the 3rd EU-Japan Symposium on Future Internet and New Generation Networks. Cloud Aggregation. 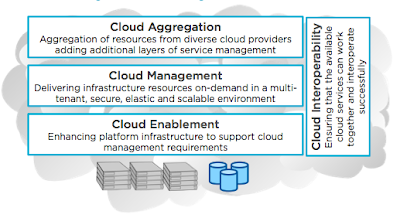 Research challenges in the aggregation of resources from diverse cloud providers adding additional layers of service management. Cloud Management. Research challenges in delivering infrastructure resources on-demand in a multi-tenant, secure, elastic and scalable environment. Cloud Enablement. Research challenges in enhancing platform infrastructure to support cloud management requirements. Cloud Interoperability. Challenges to ensure that the available cloud services can work together and interoperate successfully. This is the third, and last (for the moment), report that I would like to recommend. 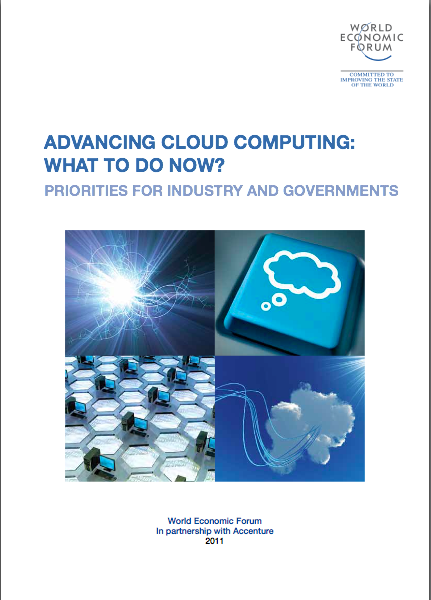 It nicely complements the other two reports (The Future of Cloud Computing and Priorities to Advance Cloud Computing). 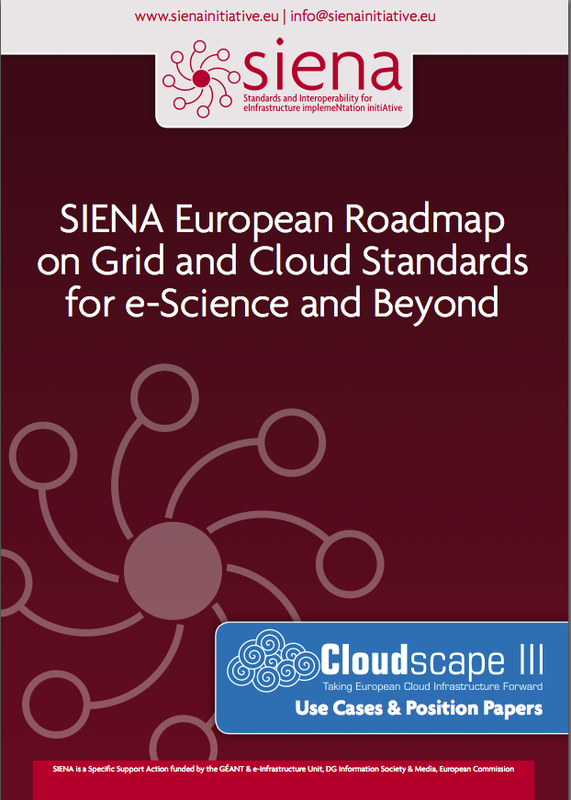 SIENA European Roadmap on Grid and Cloud Standards for e-Science and Beyond addresses requirements, technologies, and interoperability and standards for e-infrastructure. I am part of the Editorial Board of this roadmap that in this first version includes use cases and position papers collected for the Cloudscape III event. Cloudscape III – Driving Europe’s Cloud computing Strategy - took place on the 15 and 16 of March in Brussels offering the perfect opportunity for experts, developers and end-users in the cloud computing space to become part of the cloud standards process. 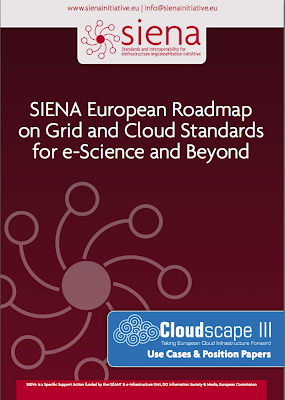 The event, hosted by the EC-funded SIENA initiative, brought a 360° overview on the Cloud computing landscape, covering benefits for enterprise, research and government alongside challenges spanning scalability, data movement, ownership and privacy, security and legal issues, openness and interoperability. Unfortunately, at that time, a large part of the Grid computing community saw Cloud as a threat and not as an opportunity, and tried to undervalue the advantages of bringing Cloud to Grid infrastructures, probably because they were not able to understand the potential of the Cloud, or just "scared of the unknown". However things are now changing. Last week, EGI (European Grid Infrastructure) organized the User Virtualization Workshop to discuss the future of virtualization and cloud computing in the European production infrastructure. The aim of the workshop was to evaluate the challenges to move towards an Infrastructure as a Service model with federation of resource providers. It is only a very first step, but we are very happy to see that EGI is now moving in the right direction and is planning to incorporate virtualization and Cloud computing to enhance Grid computing and to allow other communities to take advantage of the infrastructure. I think this is a first step to adapt to technology and an opportunity to define a leading position in the new infrastructure arena. After all, Grid will be one of the many services that could be executed on the new European Cloud Infrastructure. In my last post, I recommended the European Commission report on The Future of Cloud Computing to people defining strategies, developing research lines or exploring market opportunities in Cloud Computing. This time I would like to share a new reading recommendation, the World Economic Forum report on Advancing Cloud Computing: What to Do Now?. This report was the main outcome of a two-year study on the Future of Cloud Computing conducted by World Economic Forum and Accenture. As part of this study, last December I participated in a Cloud Computing Workshop organized in London by World Economic Forum with senior government representatives, industry experts and academics in Europe to capture perspectives on the development, adoption and deployment of Cloud Computing. This private workshop was the final in-person discussion prior to the launch of the recommendations of the study at the Forum's Annual Meeting in Davos in January 2011. This report is one of the inputs of the consultation process on a European Cloud Computing strategy initiated in Davos by Neelie Kroes some months ago. 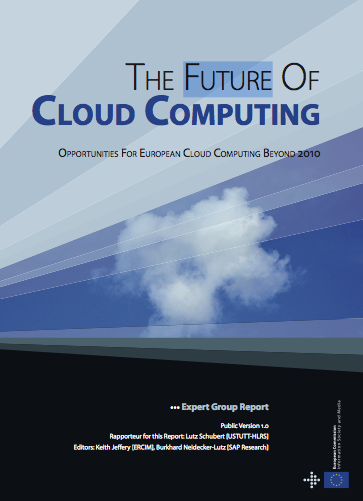 I invite anyone who has an interest in Cloud Computing to read this report. It is worth reading. Last year, I participated in a group of experts to work on a report that outlines the future directions of Cloud Computing research. This expert group on Cloud Computing was convened by the European Commission Directorate-General Information Society and Media, Software and Services. The group was moderated by Burkhard Neidecker-Lutz of SAP Research and Keith Jeffery of ERCIM, with Lutz Schubert of HLRS as rapporteur and Maria Tsakali as the responsible EC official. Although the report was published one year ago, it contains an up-to-date evaluation of the state-of-the-art, the current research and the main technical gaps. The report is available for download at the repository of the Software & Service Architectures and Infrastructures Unit. It is a must-read for people defining Cloud Computing strategies, developing innovative research lines, or exploring emerging market opportunities beyond today’s Clouds. Cloud Computing: what will Europe do? I will participate in the panel about fostering innovation with cloud computing, where we will discuss the opportunities presented by the cloud and the potential for innovation. Other panelists are senior-management representatives of European companies, organizations and networks, and the European Parliament. First, the legal framework. This concerns data protection and privacy, including the international dimension. It also concerns laws and other rules that have a bearing on the deployment of cloud computing in public and private organisations. And it concerns users' rights insofar as they are provided for by law. Second, technical and commercial fundamentals. We want to extend our research support and focus on critical issues such as security and availability of cloud services. As a mediator, the Commission can also play a stronger role in the technical standardisation of APIs and data formats, as well as in the development of template contracts and service level agreements. Third, the market. We will support pilot projects aiming at cloud deployment. To really harness the power of public procurement we want to engage with our public sector partners on Member State and regional levels to work on common approaches to cloud computing. Where Will Cloud Computing Take Us? I am starting this new blog as a medium to share observations, thoughts and opinions about Cloud Computing innovation, research, and strategy. In the recent years I have collaborated with a variety of IT companies, telecoms and governments in the definition of Cloud Computing research programs, strategies, open architectures, and migration plans. I have also participated as speaker in different Cloud Computing events where I have tried to communicate my vision about the data centre as the computer of the future, the IT resources as the next utility, and cloud computing as a source of innovation and competitive advantage. My aim is to share my professional experiences and lessons learned from these collaborations through this blog. Regarding research in cloud computing, we are still at the beginning of the road, there are still many technology challenges to be researched and adoption barriers to be overcome. Regarding innovation, we are starting to understand the revolutionary impact Cloud Computing could have on the economy and the markets. Cloud computing will play a major role in tomorrow’s world. I like the analogy between the advent of the car a hundred years ago and the increasing importance of cloud computing described by Rolf Harms and Michael Yamartino, head corporate strategists at Microsoft, in their paper The Economics of the Cloud. "When cars emerged in the early 20th century, they were initially called ―horseless carriages‖. Understandably, people were skeptical at first, and they viewed the invention through the lens of the paradigm that had been dominant for centuries: the horse and carriage. 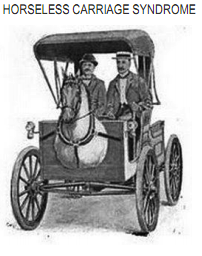 The first cars also looked very similar to the horse and carriage (just without the horse), as engineers initially failed to understand the new possibilities of the new paradigm, such as building for higher speeds, or greater safety. Incredibly, engineers kept designing the whip holder into the early models before realizing that it wasn‘t necessary anymore. Initially there was a broad failure to fully comprehend the new paradigm. Banks claimed that, ―The horse is here to stay but the automobile is only a novelty, a fad. Even the early pioneers of the car didn‘t fully grasp the potential impact their work could have on the world. When Daimler, arguably the inventor of the automobile, attempted to estimate the long-term auto market opportunity, he concluded there could never be more than 1 million cars, because of their high cost and the shortage of capable chauffeurs."